Psoriasis is a chronic inflammatory disease of the skin. In this disorder, the immune system mistakenly speeds up the life cycle of skin cells. 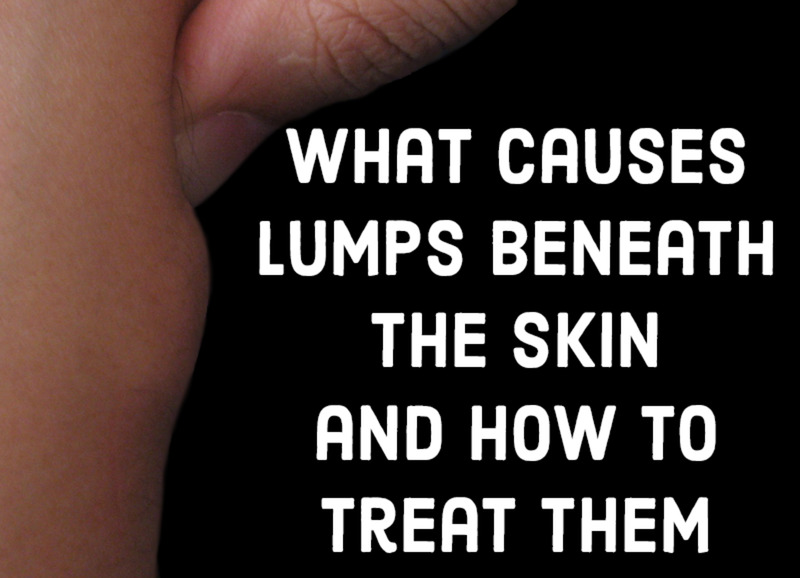 This causes dead cells to collect on the surface of the skin. The immune system also triggers inflammation, which makes the skin turn red. There are five types of psoriasis. The most common—which is present in approximately eighty percent of cases—is plaque psoriasis. 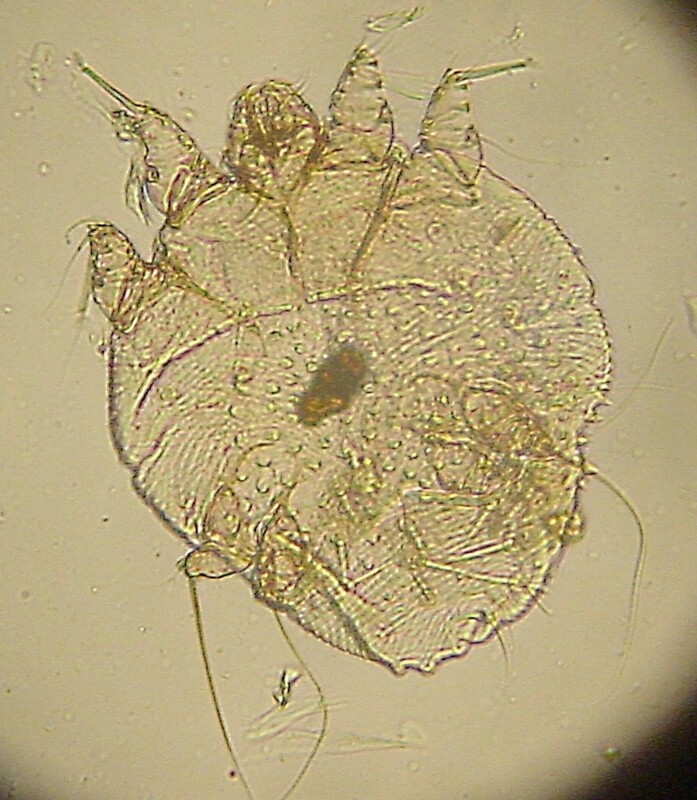 In this form, thick, scaly patches develop on the skin. The scales are dead skin cells and are white or silver in color. They lie on top of red areas of skin that are inflamed and often itchy. Psoriasis is known to be linked to both obesity and heart disease. Many scientific investigations have supported the following ideas. If a person is obese, the likelihood of their having psoriasis is increased. If a person has psoriasis, the likelihood of their having heart disease is increased, whether or not they are obese. Inflammation is involved in psoriasis, obesity, and heart disease. Determining the actual relationship between psoriasis and other health problems is a complex task. It's sometimes hard to distinguish between cause and effect. Nevertheless, the evidence indicates that psoriasis is connected to obesity and cardiovascular disease in some way. This doesn’t necessarily mean that a person with psoriasis will become obese or develop cardiovascular problems or that the opposite relationships are true, however. What Happens in the Disease? 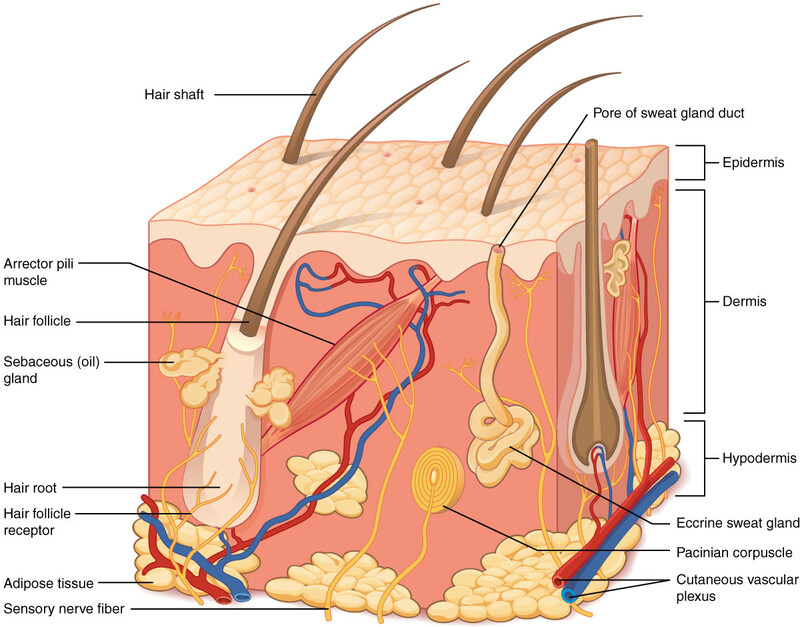 The skin consists of three main layers: the epidermis, the dermis, and the hypodermis. The epidermis contains five layers. 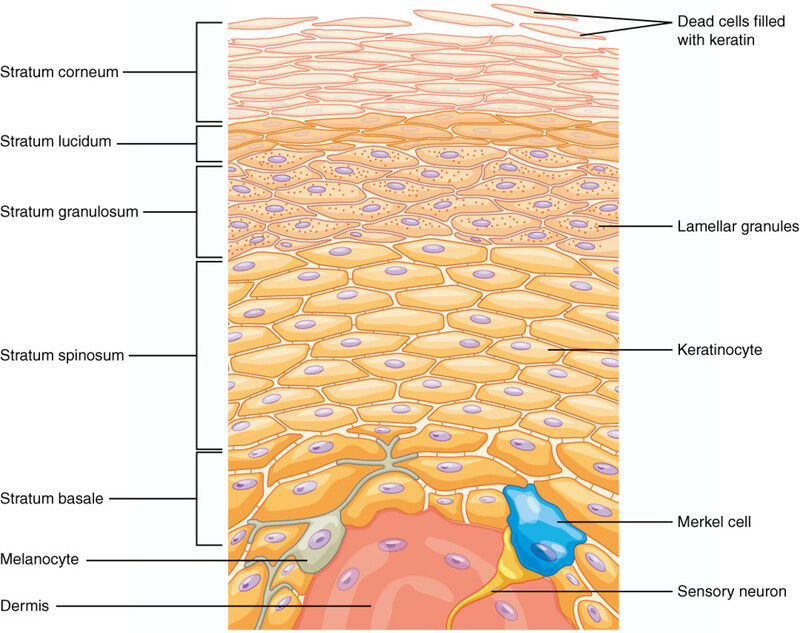 Skin cells are produced in the bottom one, which is known as the stratum basale. The cells slowly migrate upwards, maturing as they travel and dying when they reach the surface of the skin. The migration normally takes about a month. The dead cells are eventually shed from the surface of the body. 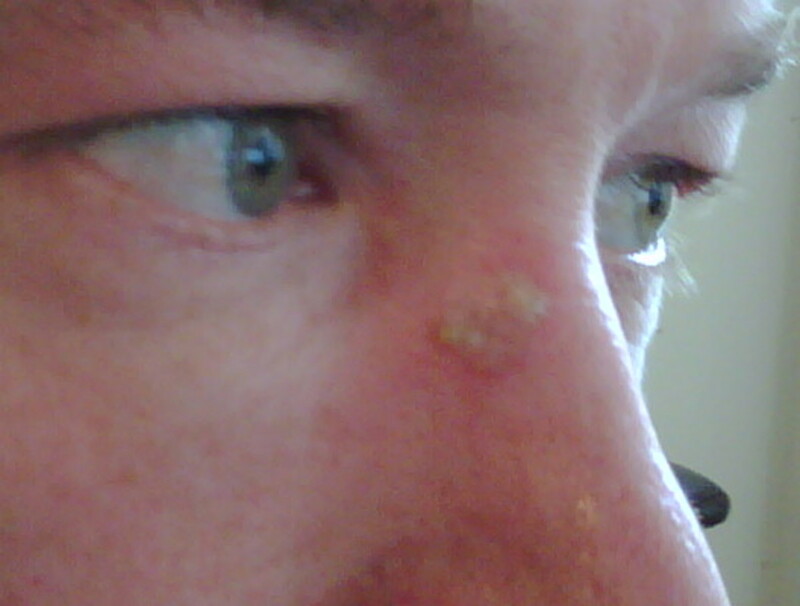 In somebody with psoriasis, new skin cells are made too rapidly and they migrate too quickly. The cells reach the surface of the skin in as little as a few days. The dead cells pile up, producing scaly areas. This process is accompanied by inflammation, a process in which surface blood vessels expand and cause redness. 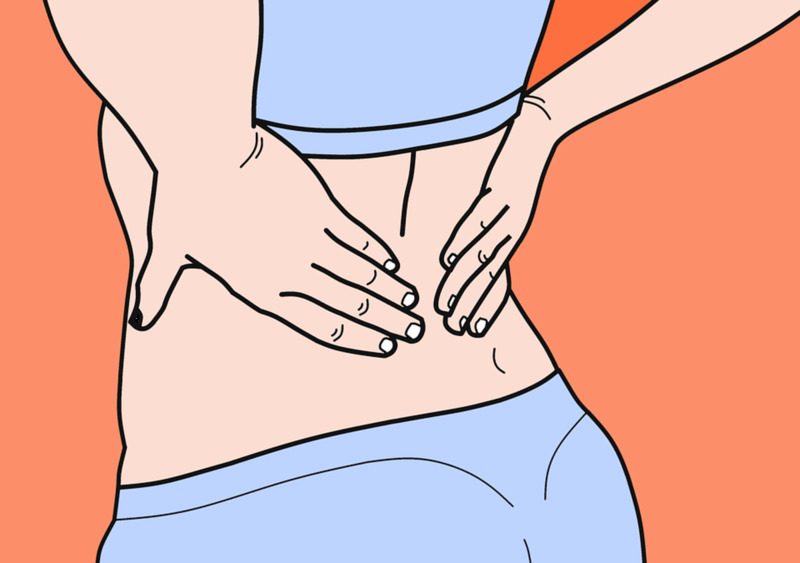 The inflammation stimulates nerves and causes itching or pain. Anyone who suspects that they have psoriasis or who has an unexplained skin problem should visit a doctor for a diagnosis. A doctor should also be consulted about possible causes, effects, and treatments. The information in this article is presented for general interest only. Researchers know that the immune system is behaving abnormally in someone suffering from psoriasis. Our immune system's usual job is to attack and destroy dangerous bacteria or viruses inside the body. A type of white blood cell called a T cell is activated by the presence of the invaders. This causes a chain of events that destroys the invaders. In someone with psoriasis, for some reason activated T cells are present in the skin. They stimulate the rapid production and maturation of skin cells as well as the release of inflammatory chemicals. The chemicals cause inflammation in the skin and sometimes in the joints as well. The symptoms of psoriasis may be worse at some times and much better at others, but the problem is generally lifelong and recurring. Triggers that may cause a flare-up or make psoriasis worse include stress, some infections, cold and dry weather, certain medications, injury to the skin, smoking, and excessive alcohol intake. Psoriasis has a genetic component that is sometimes inherited. Researchers say that a trigger is needed to stimulate the first appearance of psoriasis in a person without the disorder, even in genetically susceptible people. Some of the factors that cause psoriasis to flare up—such as certain infections and medications—may also act as the initial trigger. In an autoimmune disease, a person's immune system attacks his or her own cells. Psoriasis is sometimes classified as an autoimmune disease, since cells in the immune system called T cells alter the action of skin cells. 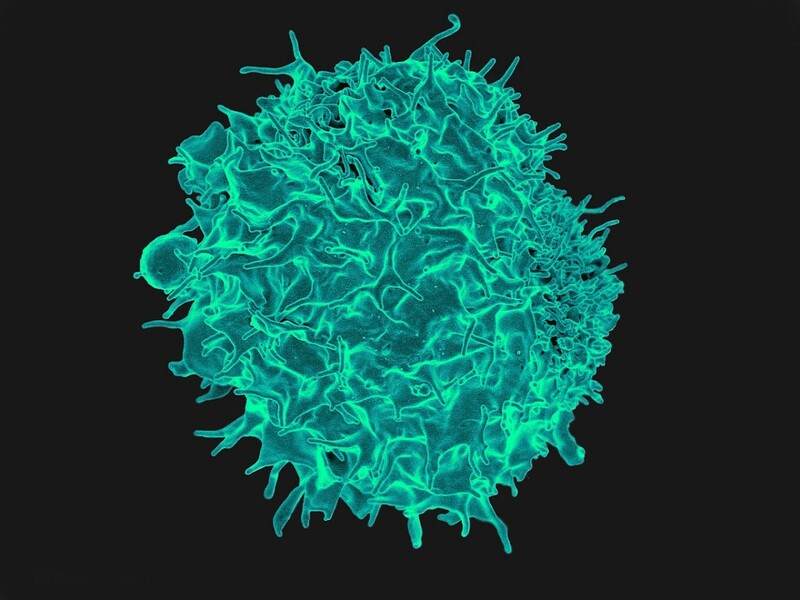 The T cell in the photo below is real, but the photo has been colourized to make the structure of the cell more visible. Five types of psoriasis exist. Plaque: the most common type of psoriasis. White and scaly patches and red and inflamed areas appear on the skin. The patches of abnormal tissue are known as lesions. 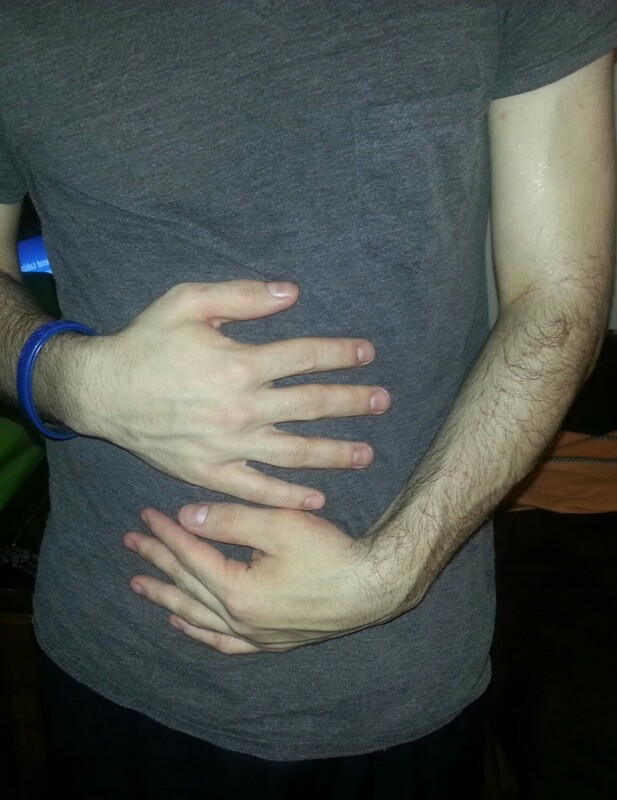 They may appear anywhere on the body but are most common on the elbows, knees, legs, lower back, and scalp. The fingernails may also change their appearance and become thickened, ridged, or pitted. Erythrodermic: very large and very red areas appear on the skin. Most of the body has a fiery appearance. The skin scales are thin, unlike the thick scales in plaque psoriasis. The skin may be painful as well as extremely itchy. Inverse: red skin appears in the folds and hidden areas of the body, such as under the arms, in the groin, and under skin folds of overweight people. About two percent of people around the world suffer from the psoriasis. Around twenty to forty percent of the people who have psoriasis develop psoriatic arthritis. The stated percentage is different in different reports. Psoriatic arthritis involves inflammation in the joints. Obese children were almost forty times more likely to have psoriasis than children of normal weight. Very obese children were almost eighty times more likely to have psoriasis than children of normal weight. In children with the disease, severe or widespread psoriasis was four times more likely to be present in obese children than in those of normal weight. It’s unknown whether psoriasis causes obesity, obesity causes psoriasis, or both of these conditions occur. The relationship between the two conditions may be complex, but some possibly significant facts have been discovered. Chemicals that are associated with chronic inflammation have been found in the bloodstream of obese people. It's been proposed that these chemicals can either cause psoriasis or make it worse. It's known that weight loss can improve the disorder. Some scientists think that obesity is a consequence of psoriasis rather than a cause. Depression and embarrassment leading to a decreased desire to exercise and poor food choices could all result in weight gain in people with psoriasis, especially when the disorder is severe. Other researchers have suggested that psoriasis may cause metabolic dysfunction that leads to weight gain. The disease is associated with an increased incidence of type 2 diabetes (which involves metabolic dysfunction), even in patients of normal weight. The more severe the psoriasis, the higher the risk of diabetes. Psoriasis is not an infection and isn't contagious. We can't "catch" psoriasis by touching someone's lesions or rash. Coronary heart disease, or CHD, is a condition in which the arteries that supply oxygen and nutrients to the heart muscle are narrowed due to the buildup of a hard, fatty material in the arteries. This material is called plaque and is made of fat, cholesterol, calcium, and other substances. Narrowing or hardening of the arteries is known as atherosclerosis. Cerebrovascular disease is a problem that develops due to changes in the blood vessels in the brain. One type of cerebrovascular disease is a stroke, which involves an interruption in the blood flow to the brain. Peripheral artery disease is a condition in which the arteries in the arms or legs are narrowed and blood flow is reduced. Many studies have suggested that there is a link between psoriasis and heart disease, a heart attack, or a stroke. It's thought that in these cases not only is the skin inflamed but also structures inside the body, such as the heart and the arteries. Part of the increased risk may be due to the fact that some people with psoriasis are obese, but scientists say that even in lean people psoriasis is linked to an increased chance of cardiovascular problems. The results of some research studies are described below. Scientists in Denmark found that people under fifty with psoriasis had a greatly increased risk of stroke and irregular heart rhythms, especially if they had severe psoriasis. The increased risk was much less in people over fifty. Anti-inflammatory medications known as tumor necrosis factor inhibitors are linked to a reduced risk of cardiovascular problems in people with psoriasis. This is further evidence suggesting that in at least some people with the conditions, the inflammation is not limited to their skin. Researchers examined a UK database containing 138,424 people with psoriasis and 8,706 with psoriatic arthritis. They discovered some interesting facts. In some cases, the results depended on whether or not a patient was taking DMARDS (disease-modifying anti-rheumatic drugs). Patients with psoriatic arthritis were 36% more likely to have experienced a heart attack than the general population, whether or not the patients were taking DMARDS. Patients with psoriatic arthritis who weren’t taking DMARDS were 33% more likely to have experienced a stroke. The risk of a heart attack in people with severe psoriasis was significantly elevated. The risk in people with mild psoriasis was also increased, but the increase wasn’t considered to be significant. As always, there are many factors to consider when examining a database containing information about humans. Other facts experienced by a person in their life, their individual biology, or their body’s response to a medication may affect the results of an analysis. Even common or traditional aspects of life in the country where the data is collected can be significant. The severity of a person’s psoriasis or psoriatic arthritis and the presence of any other health problems likely play a role in psoriasis research, too. I have more than one form of psoriasis. No, I don't have psoriasis. It's important for psoriasis patients to maintain a healthy weight. Whatever the true relationship between obesity and psoriasis, obesity may make the disease worse. Obesity also increases the risk of other serious health problems, including heart attacks and type 2 diabetes. Someone with psoriasis or psoriatic arthritis should discuss treatment options with their doctor. The doctor and patient need to decide whether an ointment (a "topical medication" that is applied to the skin), light treatment (phototherapy), a medicine that is swallowed or injected (a "systemic medication" that travels through the body), or another treatment is the best idea for the patient's situation and health background. The advantages and disadvantages of each form of treatment need to be carefully considered. People with psoriasis should persevere while trying different treatments. There isn't a cure for the condition at the moment, but there are many options that are reportedly very helpful in clearing lesions. A treatment that works in one person may not work in another person, however. Someone may be lucky and find an effective treatment for their case of psoriasis very quickly, but the search may take some time. If you have psoriasis and know that certain triggers stimulate a flare-up, it's important to investigate ways to avoid these triggers in addition to using treatments that your doctor recommends. It’s by no means certain that a person with psoriasis or psoriatic arthritis will experience complications of their disease, but since the possibility exists, I think it’s a good idea to be careful. Kaiser Permanente. "Extremely obese children have higher prevalence of psoriasis, higher heart disease risk." ScienceDaily. www.sciencedaily.com/releases/2011/05/110518131433.htm (accessed January 12th, 2019). Is guttate psoriasis associated with psoriatic arthritis? The National Psoriasis Association says that about ten percent of people who develop psoriasis have guttate psoriasis. A step (streptococcus) throat infection or another bacterial infection may trigger the disorder in susceptible people. Less commonly, other conditions may also cause the disease. Like plaque psoriasis (the most common kind), guttate psoriasis is an autoimmune condition, though a trigger seems to be necessary to start the disease process. In some cases there also appears to be a genetic requirement. According to the National Institutes of Health (NIH), some people with either plaque or guttate psoriasis develop psoriatic arthritis. Thank you, unknown spy. Some cases of psoriasis do look very dramatic, and it's sometimes hard for a person to deal with it. It's great that people such as the model in the second video are publicizing the condition. oh my God. this is scary.. :( you have written a great article here Alicia about this disease and the consequences that followed. better to be aware. Hi, Chrissie. Yes, psoriasis can range from mild to severe. It must be very difficult for many children with psoriasis. It is good that treatments are improving, though. Thanks for the visit. WOW, those pictures really help you realize how serious this can be. I feel fortunate to have healthy skin. Children that suffer from psoriasis are really limited in what they can do, thankfully more and more treatments are being discovered. Hi, teaches. Yes, psoriasis can be very unpleasant and can interfere with a person's life. Hopefully researchers will discover more about the cause of the disease very soon. Thanks for the comment. I feel so sorry for the people who have this disease. Great article and I learned much about the different types and the treatment for it. Hi, Tom. Thank you for the visit. As always, I appreciate your comment, and your votes too! Hi my friend great hub and very informative, all this information is so helpful to those who suffer with this. Well done ! Hi, Thundermama. Thanks for the comment. I've heard of several people with psoriasis who lost a lot of weight and found that their condition improved dramatically. There definitely seems to be a link between weight and psoriasis! Well done! This is really important information to get out there. My husband suffers from psoriasis and I had no ideas about these links. he has recent lost a significant amount of weight and his psoriasis has gotten much better. Now I know why. Thanks for the comment, Eddy. I appreciate your visit. Very interesting and useful ;thanks for sharing. Thank you, drbj. Psoriasis is a very unpleasant condition, but researchers are continuing to discover new treatments which may be very helpful to people who suffer from the disorder. 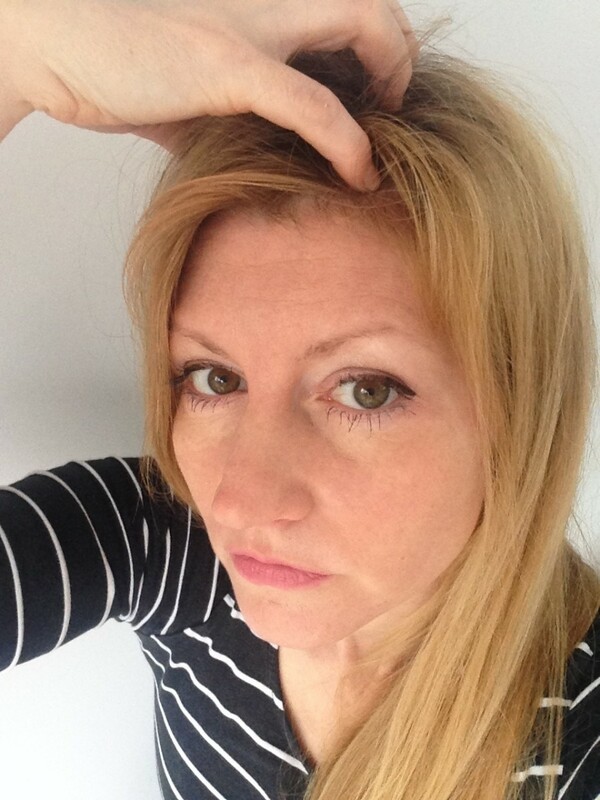 You have produced an encyclopedia of information about psoriasis, Alicia - a messy-looking and fairly common ailment. Thanks for all this comprehensive information. Thank you, Sasha! I appreciate your comment and the votes very much!! Thank you very much for the comment, the vote and the tweet, mvillecat. I appreciate them all! I'm sorry about your health problems. The latest research does suggest that chronic inflammation plays a role in many disorders. In fact, it's surprising how many diseases seem to involve inflammation! This makes so much sense and the reason is that inflammation causes so many terrible reactions in our body. I suffer from stress hives, which when under a lot of stress, inflammation in my body goes up and causes hives to pop out. I have suffered from it for a couple of years now due the extreme stress and inflammation in my body. I am also overweight and have polycystic ovarian syndrome which also causes inflammation. I tweeted and voted up. Great job. Thanks for the visit and the comment, Millionaire Tips. Yes, the body is certainly very complex! I think that it's amazing that we've discovered as much as we have about how it operates. I hope the pace of discovery increases, though. The sooner we understand conditions like psoriasis, the sooner we will be able to create more effective treatments, or even prevent the disorder completely. This is very informative - I did not know that there was a link between psoriasis, and the obesity and heart disease. The body is very complex indeed.